When it comes to cannabis products there is a lot to discuss. 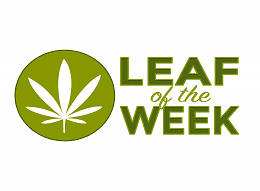 Options and availability are growing across the world and the number of canna-curious and new users are increasing rapidly. With so many different products it can be overwhelming to understand which product may be best for you. For millions of years, people and animals have been equipped with their own endocannabinoid system that regulates countless functions for overall health and wellness within the body. We have been designed to receive essential cannabinoids for centuries. This is why supplying our bodies with the essential compounds to promote homeostasis and overall health and wellness is crucial. Consumers of CBD products have the option of full spectrum CBD oil or CBD isolates. Knowing the difference can help you decide which product may be better for you. Both full spectrum hemp oil and CBD isolate products contain the cannabinoid CBD, which is the non-psychoactive cannabinoid found in cannabis known to help with inflammation, pain, neurological disorders, epilepsy, cancer treatment and several other conditions. The difference is, full spectrum products contain other active plant compounds in addition to CBD because it utilizes the entire plant during production. Full spectrum contains every cannabinoid present in the plant, which includes the naturally occurring trace amounts of THC, in addition to cannabis terpenes, vitamins, minerals, flavonoids and chlorophyll. With plants containing hundreds of cannabinoids and unique terpene profiles, consuming a product that contains all of the components may provide additional benefits. 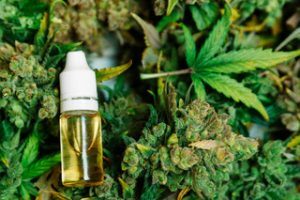 Products containing full spectrum CBD oil have the advantage of something called the “Entourage Effect.” This is where all the cannabinoids and terpenes are working together in synergy, something that isolate products cannot offer. 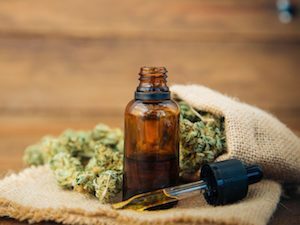 The Lautenberg Center for General Tumor Immunology noted that full spectrum CBD is capable of offering greater levels of inflammatory relief. They proved this by conducting scientific studies in mice by administering CBD isolates and full spectrum products and found the mice that ingested the isolates did not experience the same level of relief at higher doses. 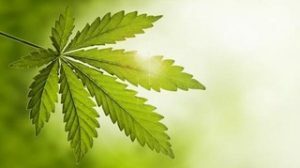 On the other hand, the full spectrum CBD oil retained its efficacy at any dose, which is likely due to the product containing all other compounds present in the plant, working together. The choice is easy for me. When given the option, I choose full spectrum products. As always, I do my research and make sure the product is high quality and not misleading. Some companies claim to be full spectrum, but only contain CBD in the ingredients, which would not be accurate. I also recommend full spectrum products for new consumers, even those who are hesitant or who have never been exposed to THC. Hemp contains very little amounts of THC and will not produce the psychoactive effect at these low levels. Our endocannabinoid system is designed to receive and benefit from the entire plant and compounds found within it, which is why I recommend full spectrum vs. isolated CBD products. I think of it as my daily vitamin. With full spectrum products, I’m able to benefit from all the compounds of the plant in addition to the highly potent and effective CBD.